Bonnie Simoa holds an MFA in Dance from Mills College and is lead faculty in dance at Lane Community College in Eugene, Oregon. 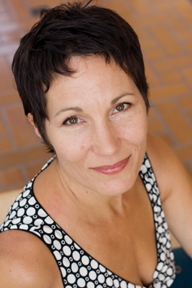 Bonnie teaches dance, fluid yoga, Balinese dance and Continuum; and an active choreographer and performer. She has created over 25 original dance works performed nationally and in Germany and Indonesia. Her recent choreographic works explore nature, emotion, and time; and are deeply influenced by her work with Continuum. Bonnie has taught yoga and dance for 20 years, and she has developed movement practices including “Individual Movement Art”, “Dancing in Nature”, and “Dancing by the Sea”. She is currently exploring the relationship between Continuum and yoga, dance, and the creative process. Her explorations into the potency of movement and its healing potentials have led her around the world to study Balinese dance in Bali, Pribadi Art with Buddhist movement master Suprapto Suryodarmo in Java, and yoga and singing in India. She lives in Eugene, Oregon with her husband Lytton and their fox-terrier Daisy. Continuum not only informs my everyday living, but is the foundation for my creative work. As a dancer and creative artist, the sacred act of creating comes from investigating the movement of fluid (as thought, breath, and feeling) into eventual form. My courage to create is fueled by trust in the dynamic ever-changing expression of fluctuating fluid form. For me, there is no separation between Continuum and creative expression. They are one and the same.